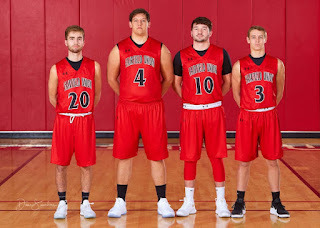 The boys basketball team defeated Gallia Academy last night in the district semi-final, 49-46 to advance to the district finals. The Falcons were led by Evan Conley with 15 points, Lucas Thompson added 11 points, and Colin Woodside added 10. With these 10 points Colin Woodside became Fairfield Union’s all-time leading scorer! He surpassed Brian Young’s 1,385 point mark which stood as a record for 30+ years. The Falcons will advance on to the District Final vs Fairland next Friday, March 9th at the Convo. The game will tip at 6:15pm. Pre-Sale Tickets will be available in the main office, please see Mr. Montgomery for more information. Go Falcons! The boys basketball team was victorious in their sectional championship game this weekend winning 64-45 over New Lexington High School. The Falcons were led by Colin Woodside and Lucas Thompson with 16 points apiece. The Falcons will advance in the tournament to play Gallia Academy in the District Semi-final. The game will be at the Convo Thursday night, March 1st, at 8pm. Pre-Sale Tickets will be available in the main office, please see Mr. Montgomery for more information. Go Falcons! 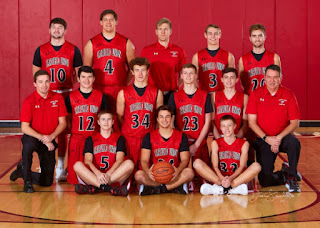 The boys varsity basketball team fell to the #1 seeded Sheridan team last night 57-51. The Falcons were led by Evan Conley with 16 points. The boys basketball team will be back in action Saturday at noon kicking off tournament play against winner of the New Lexington/ Westfall game played tomorrow night. Go Falcons! 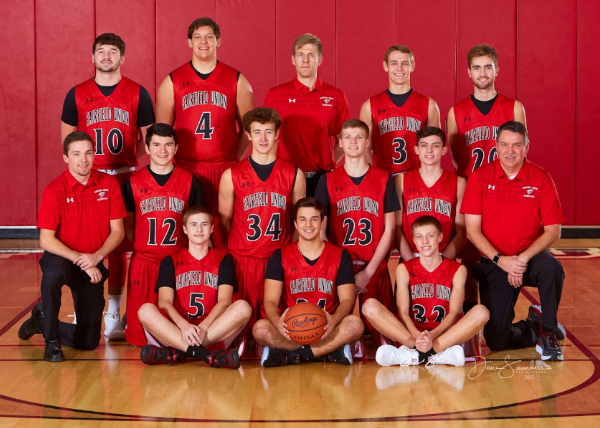 The boys varsity basketball team was victorious over Circleville last night, winning 49-32. The Falcons were led by Colin Woodside with 22 points. This win clinched an outright Mid-State League Title for the Falcons; this is their third consecutive year of doing so. The boys basketball team will be back in action Friday night against Liberty Union. This will be the final home game for Colin Woodside, Lucas Thompson, Spencer Conrad, and Jared Foster, please come out and support. There will be no freshman game/ JV tips at 6pm/ Varsity 7:30pm. Go Falcons! The boys varsity basketball team was victorious over Circleville last night, winning 70-27. The Falcons were led by Evan Conley with 15 points and Colin Woodside with 13 points. Lucas Thompson added 11 which gave him over 1,000 points in his career. This win at least clinched a share of the Mid-State League Title for the Falcons. The boys basketball team will be back in action tonight against Circleville and will look to win the Mid-state League outright with a win. Freshman will play Logan at start the night at 4:45pm. JV tips at 6pm/ Varsity 7:30pm. Go Falcons! The boys varsity basketball team had a very successful weekend beating Amanda and Unioto at home 70-34 and 50-47. The varsity defeated Amanda Friday night behind Evan Conley and Colin Woodside who had 16 points each. 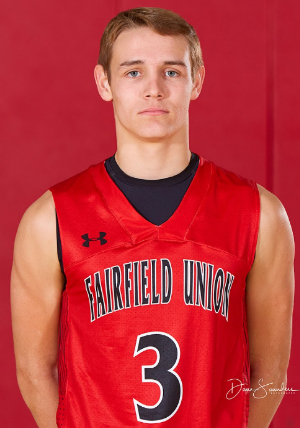 Saturday night they defeated a 17-1 Unioto team behind Colin Woodside’s 24 points The boys basketball team will be back in action Tuesday night on the road at Circleville. No Freshman/JV tips at 6pm/ Varsity 7:30pm. Go Falcons! Also the tournament draw came out this weekend for the boys basketball team. They earned a 2 seed and will play the winner of New Lexington and Westfall at Logan High school, February 24th at 12pm. Pre-Sale tickets will be available in the office, please see Mr. Montgomery for more details. The 7th grade boys basketball team dropped a close contest to Liberty Union on Thursday evening. Brennan Rowles led the Falcons with 8 points, Sam Hammock and Isaac Schmelzer added 5 pts. The Falcons finished their regular season 10 - 6 overall 8 - 6 in the MSL. The Falcons open up tournament play Saturday morning at 11am at Bloom Carroll Middle School versus Teays Valley East. 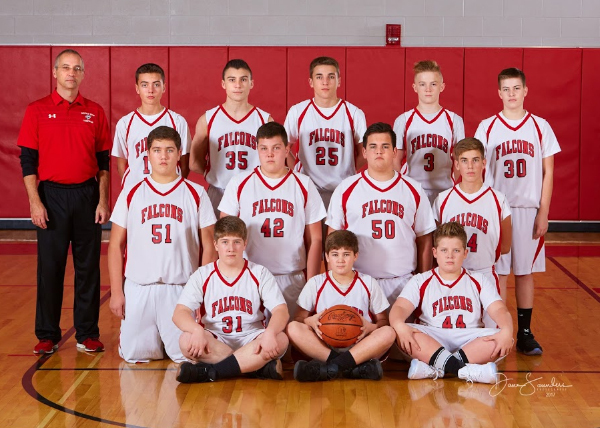 The Falcon 7th grade boys basketball team beat Circleville on Tuesday evening 29 - 20. The Falcons were led by Isaac Smeltzer with 13 points, Ronnie Rowley with 8 and Brennan Rowles with 6 points. That moves their record to 10 and 5 overall 8 and 5 in the MSL . The Falcons will play Liberty Union in their last home game on Thursday at 5 p.m. The 8th grade boys were victorious against a pesky Circleville squad. After trailing 20-15 at halftime, the Falcons tightened up the defense, allowing the Tigers only 7 second half points. The Falcons had 8 different players score. Ted Harrah led the team with 11 points and Owen Morgan had 10. 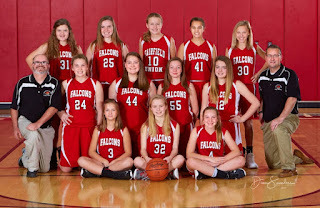 The 8th grade record improved to 7-8 overall and 5-8 in the MSL. 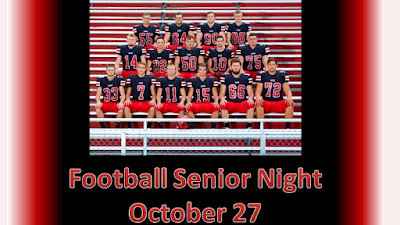 The boys play their final regular season game, at home, on Thursday against Liberty Union. The Falcon 7th grade boys basketball team defeated Amanda Thursday with the score of 48-35 Falcons had multiple scorers with Isaac Schmelzer leading the way with 11 pts Collin Mahler with 9pts that puts their record to 9-5 overall and 7-5 in the MSL. Next up is Circleville away on Monday. After experiencing a tough stretch, the boys 8th grade team got back on the winning track with a 37-19 victory over Amanda. The Falcons were led by Ted Harrah who had 12 points. Owen Morgan added 8 and Tucker Thomas had 7. The boys travel to Circleville on Monday. The boys basketball Jv and Varsity teams were victorious last night at Hamilton Township winning 67-46 and 44-36 respectfully. 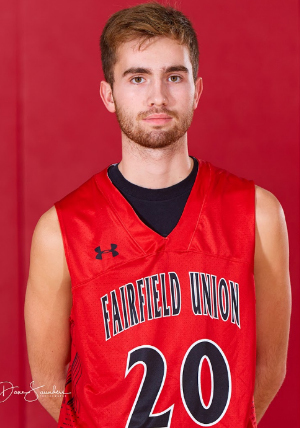 The varsity had 5 players in double figures with Colin Woodside leading the way with 16 points. The boys basketball team will be back in action this Saturday night in another huge league show down with Teays Valley who is undefeated in the league. The freshman tip 4:45pm/JV tips at 6pm/ Varsity 7:30pm. Go Falcons! Falcons 7th grade boys beat Teays Valley Monday night 39-38. Falcons were down 2 with 1.4 seconds and Sam Hammock hit a game winning 3 at the buzzer, off of a fabulous screen from Ronnie Rowley. The Falcons had multiple scorers with Isaac Schmeltzer leading the way with 17pts, Ronnie Rowley with 8pts, and Brennan Rowles with 6pts. Sam Hammock ended with 4pts, Caden Fyfe added 2pts along with Jayden Pritchard with 2pts. The Falcons take on Amanda Thursday at home. JV, and Varsity teams. The freshman picked up solid wins vs Grove City and Liberty Union. The JV defeated Logan Elm Friday night and Saturday, with a Ryan Magill buzzer beating 3 pointer, forced overtime defeating the Lions 69-60. 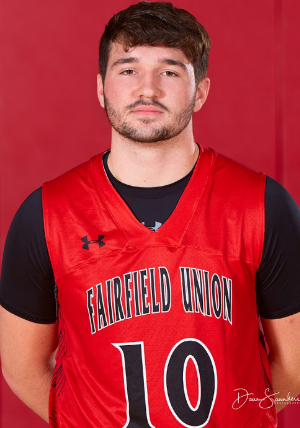 The varsity defeated Logan Elm Friday night behind Colin Woodside’s 19 points and was victorious at Liberty Union Saturday night behind Lucas Thompson’s 21 points. 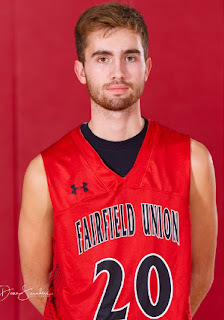 Evan Conley pitched in 16 points Friday and 11 points Saturday to help pace the Falcons. The boys basketball team will be back in action Tuesday night in a huge road league show down with Hamilton Township whose only league loss came from the Falcons earlier in the season. The freshman tip 4:45pm/JV tips at 6pm/ Varsity 7:30pm. Go Falcons! The varsity boys basketball team were victorious at St. Charles last night winning 44-29 and were led by Lucas Thompson with 15 points. The JV team was also victorious 44-43 with a buzzer beating 3 for the win by Seth Cooperider. Matt Qualls led the falcons with 19 points in the JV win. The boys basketball team will be back in action Friday night at home vs Logan Elm. Freshman tip at 4:45pm vs Grove City Christian/JV tips at 6pm/ Varsity 7:30pm. Go Falcons! 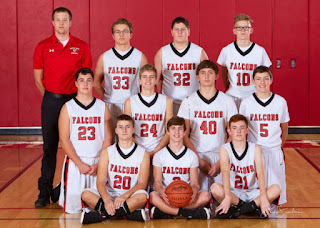 Falcon boys 7th grade basketball lost a barn burner at home in OT Monday night 30-28, Brennan Rowles led the Falcons with 9pts including a game tying 3 at the buzzer to force OT. The Falcons came up short in OT including a game winning three that didn't fall. The boys travel to Hamilton on Thursday at 5pm for another important MSL game. 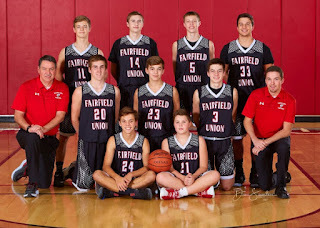 Fairfield Union have lost 3 games by 3pts or less. Tonight the 8th grade boys, after a slow start, competed well against Logan Elm. However, the boys lost 46-27. Tucker Thomas led all scorers with 15 points. The boys travel to Hamilton Township on Thursday. The boys basketball team had a clean sweep of Bloom Carroll Saturday night with the Freshman, JV and Varsity teams all winning. The varsity won 68-45 and was led by Colin Woodside with 18 points. The boys basketball team will be back in action Tuesday night at St. Charles. Freshman tip at 4:45pm/JV tips at 6pm/ Varsity 7:30pm. Go Falcons! The boys varsity basketball team lost last night to Amanda 55-58. The Falcons were led by Colin Woodside with 18 points. The JV team and freshman team picked up victories. The boys basketball team will be back in action Saturday night at Bloom Carroll. Freshman tip at 4:45pm/JV tips at 6pm/ Varsity 7:30pm. Go Falcons! The 8th grade boys lost last night to Bloom Carroll 47-25. The Falcons were led by Tucker Thomas who had 13 points. The boys' record stands at 5-5 overall and 3-5 in the MSL. The team's next game is at home against Logan Elm on Monday, January 22. The 7th grade boys basketball team gutted out a win vs Liberty Union at Liberty Union. Isaac Schmeltzer led the Falcons with 13 points. The Falcons were down 26 - 20 with 3:20 left in the game and Cole Johnson made three late baskets where the Falcons went on a 10 - 0 run. Cole Johnson finished with 8pts. Ronnie Rowley made two clutch free throws to finish the game and ended up with 6pts. Falcons won 30 - 26. Next up for the Falcons is Bloom Carroll next Thursday at Bloom Carroll. The Falcons are now 7 - 2 overall, 5 - 2 in the Mid-State League. The 8th grade boys basketball team lost a hard fought game tonight 39-24 to Liberty Union. The Falcons were led by Tucker Thomas who had 9 points and Owen Morgan who had 7. The boys record is now 5-4 overall and 3-4 in the MSL. The team is off until next Thursday when they travel to Bloom Carroll. Falcon 7th grade boys basketball with a win tonight vs Circleville 53- 16. It was a total team effort with multiple scorers. That pushes their record to 6-2 on the season. 4 -2 in the MSL. The Falcons travel to Liberty Union on Thursday in an important MSL game. Last night the 8th grade boys basketball team beat Circleville 40-27. The Falcons had 9 different players score. Dylan Moro led the team with 10 points, Tucker Thomas had 8 and Owen Morgan had 7. This brings the team’s record to 5-3. The Falcons travel to Liberty Union on Thursday. The boys varsity basketball team went 2-2 over break with victories over Lakewood and New Lexington. 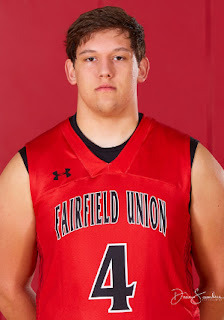 The Falcons were led in both victories by Huston Harrah who had 16pts in each. This brings the varsity’s record to 6-3 over the year and 3-1 in the league. The falcons will be back in action Friday night vs Circleville, no freshman game JV tips at 6pm. The JV boys basketball team went 3-1 over the break with victories over Lakewood, New Lexington, and Teays Valley. This brings the JV’s record to 6-3 on the year and 4-0 in the league. 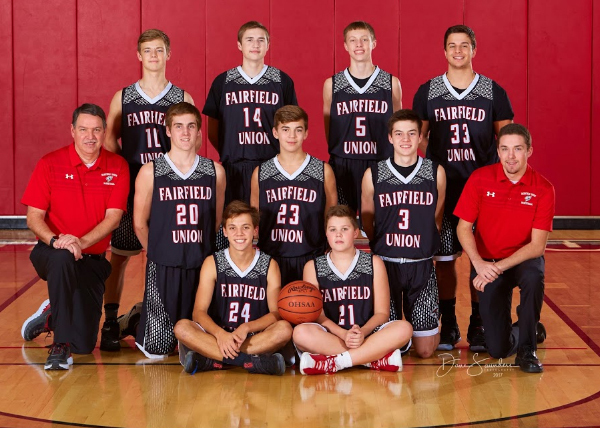 The freshman boys participated in a Freshman boys basketball tournament and went 4-2 over break with victories over Philo, New Lexington, West Muskingum, and Beechcroft. The freshmen will be back in action on Saturday at Sheridan, tip is at 4:45pm. The 7th grade boys dominated Fisher Catholic tonight 39-17. Brennan Rowles led the Falcons with 13pts, Isaac Schmelzer added 6pts, along with Jayden Pritchard finishing with 6pts. Next up for the Falcons is Circleville, at home, 5pm Monday. The boys varsity basketball team was victorious last night again Hamilton Township at home 59-48. The falcons were led by Colin Woodside with 19 points and Evan Conley added 15. The Jv team was also victorious winning 45-37 led by Andrew Moll who had 14 and Ryan Magill who added 10. Freshman rounded out the night winning 36-33, led by Bryant Bobo with 14 and Christian Carsey with 9. The falcons will be back in action Friday at home vs Lakewood. No Freshman game/JV tips at 6pm/ Varsity 7:30pm. Go Falcons! 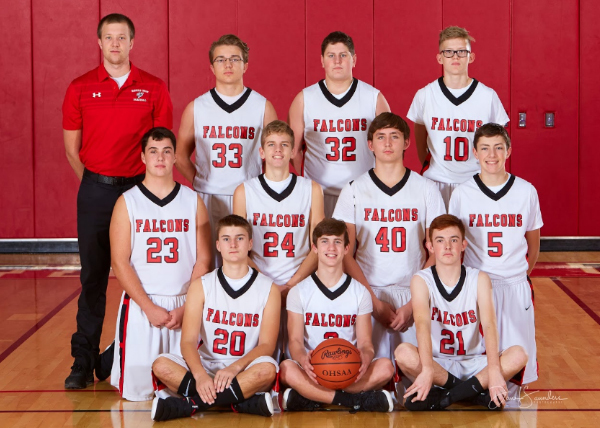 Falcon 7th grade boys basketball beat Teays Valley 39 -30 we were lead by Caden Fyfe and Isacc Schmelzer, Ronnie Rowley with 7pts. Sam Hammock with 4pts. Great box out by Joey Bell late in the game and great rebounding by Jaden Pritchard. Johna Starner with a smart play at the end of the game by pulling the ball out to run the clock out . The Falcons take on Amanda Thursday. The 8th grade boys won an exciting overtime game last night at Teays Valley East 46-40. The Falcons turned in a great team performance. Tucker Thomas had 19 points, Dylan Moro had 11 and Owen Morgan had 10. The boys record is 3-2 overall and 2-2 in the MSL. The Falcons travel to Amanda on Thursday. The boys varsity basketball team was victorious Friday night again Logan Elm on the road 62-39. The falcons were led by Colin Woodside with 16 points and Lucas Thompson added 15. The Jv team was also victorious winning 32-29 led by Andrew Moll who had 16 and Ryan Magill who added 8. The falcons will be back in league play again Tuesday night at home vs Hamilton Township . Freshman game tips at 4:45pm/JV 6pm/ Varsity 7:30pm. Go Falcons! The 8th grade boys' basketball team had a great team performance and defeated Hamilton Twp. 42-35. The Falcons were led by Owen Morgan who had 12 points and Tucker Thomas who added 8. The Falcons' record is now 2-2 and travel to Teays Valley East on Monday. 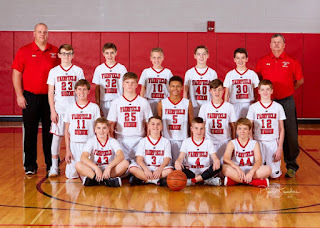 7th grade Falcon boys lost vs Logan Elm on Monday 43-31 Falcons were led by Ronnie Rowley with 11pts Caden Fyfe with 7pts Falcons play Hamilton Thursday at home at 5pm. The 8th grade boys lost in a close competitive game with Logan Elm, 40 to 38. The Falcons were led by Owen Morgan who had 21 points and Dylan Moro who added 11. The boys will be back in action on Thursday at home against Hamilton Twp. Great team win vs Athens 43-26 Saturday. Falcons lead by Collin Mahler and Caden Fyfe with 7 pts each Isaac Schmelzer with 6 Hayden Collins with 5 and Jayden Pritchard with rebounds inside. Falcons play an important game away at Logan Elm Monday at 5pm and Hamilton at Home Thursday. On Saturday the 8th grade boys basketball team rebounded from a loss on Thursday by beating Athens by a score of 44 to 27. The Falcons were led by Kyle Walton who had 10 points and Wyatt West who added 9 points. The Falcons will travel to Logan Elm on Monday. The boys varsity basketball team was victorious Saturday night again visiting Bloom Carroll 68-36. The falcons were led by Colin Woodside with 24 points and Huston Harrah added 12. The falcons will be back in league play again at Logan Elm Friday night December 15th. No freshman game, JV tips at 6pm/ Varsity 7:30pm. Come out and support the falcons in their first league game! Go Falcons! 8th Grade boys basketball lost to Bloom Carroll 43-21. Hayden with lock down defense on their main scorer. Next game is Saturday vs. Athens at home. The boys basketball team fell to Columbus South this Saturday 75-49. The falcons were led by Lucas Thompson who had 24 points and Colin Woodside who had 11 points and 10 rebounds. The falcons will be back in action home Tuesday night vs Watterson. Game Tips at 7:30pm. Look forward to seeing Falcon nation there, Go Falcons!